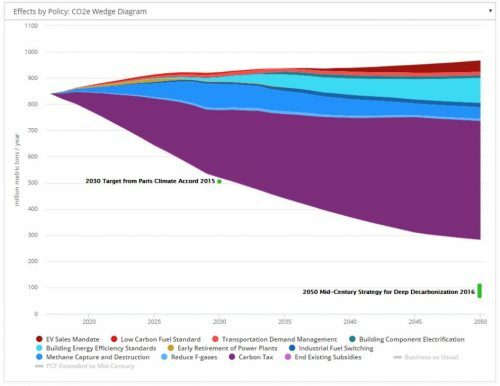 APP’s Ron Lehr outlines financial tools which swap coal debt for clean energy equity to help utilities retire uneconomic coal generation early. EI’s Mike O’Boyle details practical approaches to utility business model reform in an era of cheaper clean energy resources. EI’s Robbie Orvis outlines how the Green New Deal’s 100% renewable energy goal could be achieved with a handful of key policies. EI’s Silvio Marcacci says retiring Colorado coal plants could save $2.5 billion and a proposal in the state legislature could generate private investment to help utilities close plants while funding economic transition. EI’s Robbie Orvis says we’re in a state of “climate triage” where policymakers must assume the role of an ER doctor to prevent dangerous global warming. EI’s Hal Harvey says Oregon can ride a national “green wave” of voter sentiment to a zero-carbon economy through statewide carbon pricing and four policies. EI’s Amanda Myers says four major trends will determine if the U.S. electric vehicle market accelerates or hits a roadblock in 2019.